Silent Night Kit regularly priced $199.99, today $119.99. A combination of wool and woven cotton are combine to make this folk art inspired seasonal quilt finishing 50''x60''. 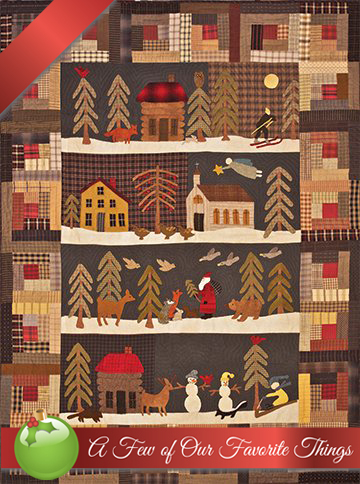 Silent Night features four winter woodland scenes surrounded with a traditional patchwork log cabin border made from rustic homespun plaid cotton fabrics.